Unfortunately, an injury has put a serious roadblock in her path to glory. In 2011, she tore her ACL at the European Championships while performing her famous amanar. Her recovery has been difficult. She has grown. But she has continued to train hard. Aliya has yet to show the level of gymnastics and performance she attained in 2010 this year. 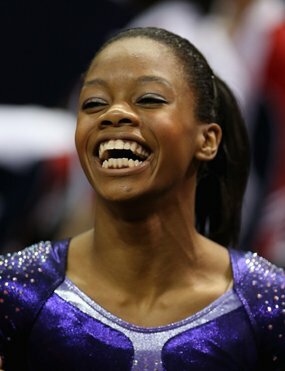 But Aliya has a competitive drive, a fierceness and focus on the competition floor like few others. She has that undefinable quality and mental drive that propels her to the front. I would not be surprised at all if she ends up on the podium.